You know who else works on Christmas besides Santa Claus and nurses? People who write about sports teams that play on Christmas! 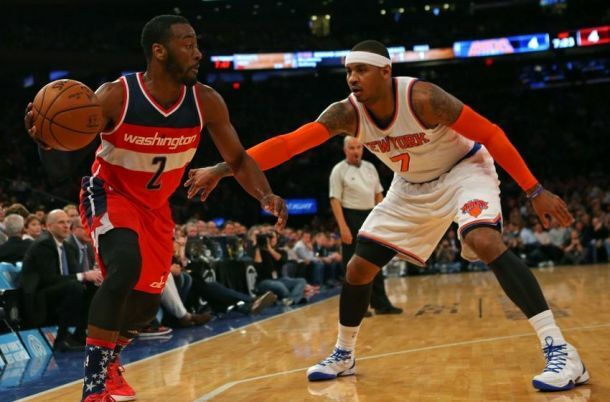 I recapped the Knicks’ latest loss to the Washington Wizards. Let the egg nog sink in and enjoy. 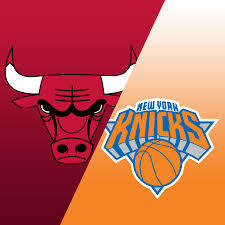 I wrote the recap for P&T of the Knicks’ latest loss performance art, a gallant but failed effort against the Chicago Bulls. You may not like sports, but as it’s the holiday season, consider the free-falling Knicks the universe’s gift to you: however bad your 2014 has been, at any point, trust me…the Knicks have been worse. 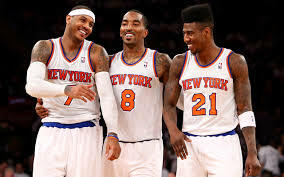 In case you have a life, you may not have noticed the Knicks have 4 wins and 18 losses, including their last eight. The fallout’s been predictable: fans are questioning rookie coach Derek Fisher and rookie president/guru Phil Jackson. Haters be hating. Faith be faltering. But that’s the thing with faith: it’s when you really question it that it shines through. 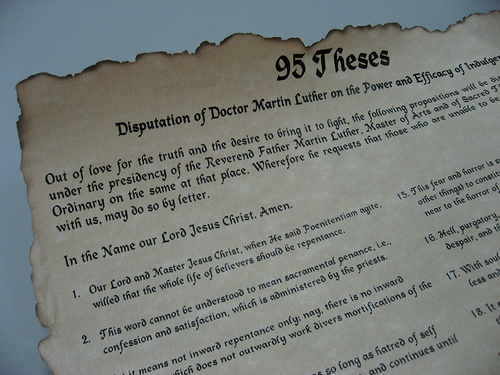 So in honor of Martin Luther’s 95 Theses, I wrote a 95 Theses for keeping the faith in the Knicks’ rebuilding effort. Check it out at Posting & Toasting. Over at Posting & Toasting I recapped the Knicks’ latest loss, a buzzer-beating heartbreaker in Charlotte. It was their seventh straight defeat. Can’t say it any better than Michael Corleone.